Philadelphia is a city bursting with creativity and I’ve fallen pretty hard for this unique city. My favorite thing about Philly is First Friday. On the first Friday of every month, Old City (an awesome neighborhood in the city) is flooded with art. All of the art galleries in the city open their doors and artist vendors line the streets around Second Street and Market Street. Old City is the place to be on the first Friday of every month. 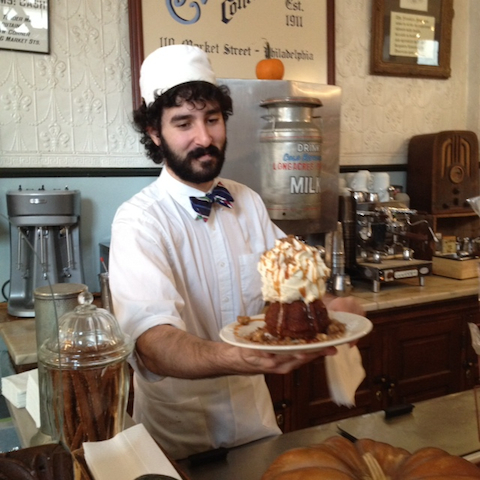 If strolling the galleries or listening to street performers isn’t your thing, then there is always the great shopping in Old City or you could grab some old fashioned ice cream at the Franklin Fountain and head down to Penn’s Landing. Philly is also home to a vibrant theater scene, and if you are a fan of live theater then September is your new favorite month! Not because it marks the beginning of fall, but because of Philly Fringe/Live Arts Festival. This theater festival is not for the faint of heart – it contains hundreds of live theater events, and it shows off the best of avant-garde theater! There are so many shows that it becomes a lucky guess as to what to see, but there is nothing like the satisfaction of walking out of a theater surprised at the amazing piece you just witnessed. Recently, Fringe Arts just opened a theater that shows innovative work all year round. Whether cutting-edge or classical, the Philadelphia theater scene is definitely worth checking out! 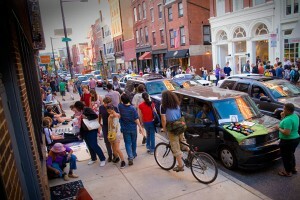 First Friday and Fringe Arts are just two of the many things that make Philly so creative. But no matter what your interests are, there is something about Philadelphia that will definitely catch your fancy. P.S. If you happen to find yourself in Center City on the first Friday of a month, check out Old City Jewish Art Center (3rd and Arch St). There is always cool art and they share a free meal!! Sequoia Collier-Hezel ’15 is a double major in English and Art and involved in theater on campus. Though originally from Buffalo, NY, Philadelphia has welcomed him with open and creative arms.